For a while now I was thinking how to start this blog post. How to explain Bali in a few words? I feel like it’s a cultural and spiritual journey that needs to be experienced in order to be understood. What I can say is that Bali has something to offer to every single soul that is there: from endless rice terraces, white and black beaches, volcanic mountains to numerous temples and ancient culture. During our time there we visited Ubud, Seminyak, Uluwatu, Nusa Dua, Sanur and Menjangan Island. Bali is a big island with so many places to visit, the only thing you’ll need is time. If you don’t have a car or bike rented then there are agencies that provide one day trips and it will be around 600/700 IDR depending on the places you want to visit. 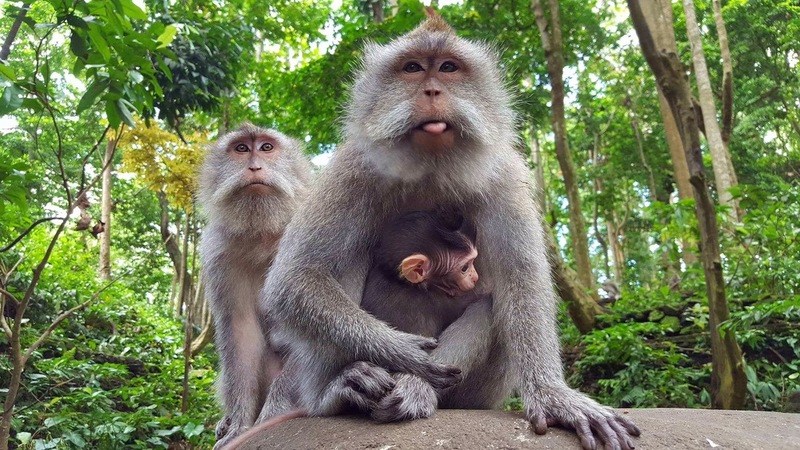 You can visit places like Jatiluwih Rice Terrace or Tegalalang Rice Terrace, Butterfly Park, lakes or waterfalls, you can go diving or be a Seawalker, visit a Temple or two and last but not least visit the Monkey Forest. We spent the first day in Seminyak as we were a bit tired after the long flight and the second one we had a driver for the day who took us to The Sacred Monkey Forest, Tegalalang Rice Terrace and Batuan Temple. First thing first, those cute little monkeys can actually become a little crazy. There are a few things you need to know before entering the forest: never ever look a monkey in the eye as they will get angry and attack you, leave the food behind unless you want a monkey to follow you and steal it from you. Also make sure you attach everything properly to your body and put your sunglasses away. A last thing, my phone has a mirror cover and when I wanted to take a picture I think the monkey saw herself in my cover caseand got really angry so I just put my phone down slowly. Note to myself ‘change cover when around monkeys’. From there we went to Tegalalang which is located in the northen part of Ubud Village and owns the magnificent view of rice terrace. Tegalalang forms the three most splendid terraced landscapes in Ubud’s shared region, with the others being in the villages of Pejeng and Campuhan. Also is you are in this area you should try Luwak Coffee, apparently most expensive coffee in the world. What’s so special about this coffee? It is made from coffee cherries which have been eaten by and passed through the digestive track of the Asian Palm Civet. 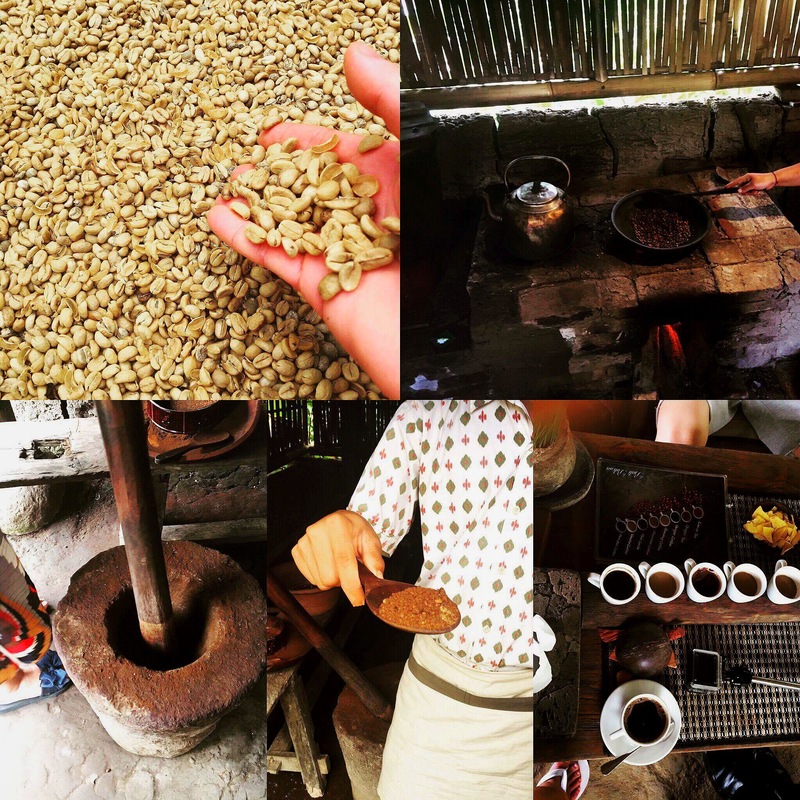 When collected the beans are processed hygienically and roasted for a little bit in order to keep the flavors that develop trough the process. I tried a bit but not a massive fan of coffee, but my brother was happy about it. Also when buying this you get 8 other cups with different tea flavors and coffee. Last place visited that day was Batuan Temple which is a local Balinese Hindu temple looked after by the local resident of Batuan countryside. The temple is beautifully designed with Balinese ornaments and the roof tops are made from the fiber of chromatic black palm tree. I will end this blog post here and will get back with more info in another post. Till then enjoy the pics and Happy Easter for whoever is celebrating!! !